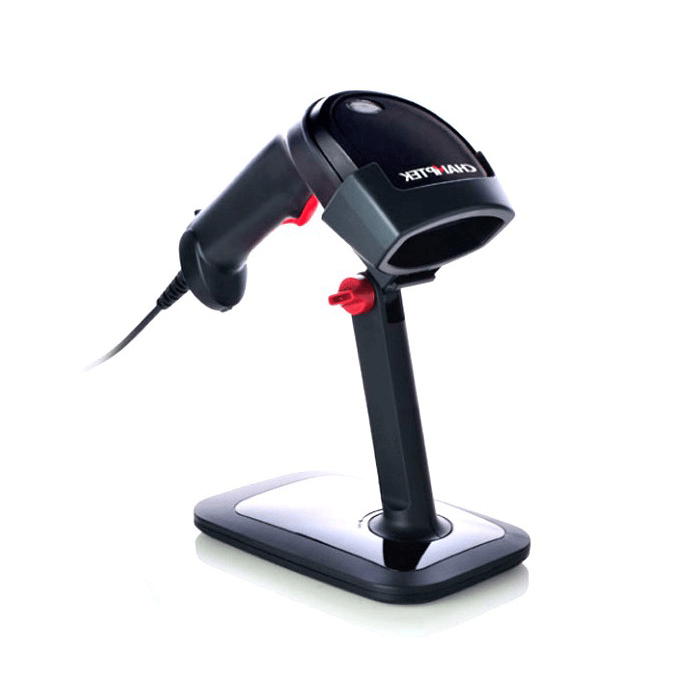 1D scanner ideal for reading 1D barcodes from mobile phones or any other surface. Stand as an optional accessories. SG700 is a brand new rugged gun-type linear imager bar code scanner which is designed especially for retail, logistic and warehousing management market. We include friendly functions with replaceable multiple interface cable options that makes it more easily to be operated by the customers to accommodate itself to user environment. SG700 has most modern design with rugged casing and supports IP54 sealing protection, with its auto-shuttle-emulation-like smart detection, offers superior decoding performance on a reading speed up to 500 scans per second and up to 500mm reading depth for the majority of 1D bar codes and GS1 DataBar™ codes. A stand option can be ordered to facilitate hand-free reading options. With its built-in automatically turn off reading and switch on reading, as it sense a bar code moving in front of it, can extend its lifespan. In short, SG700 provides customer with the most cost-effective solution in the market. It is perfectly suitable and definitely the best choice for any retail and logistic environment. Reading depth of field up to 500mm (20mil/0.5mm@code39 pcs90%). Smart detection, up to 500 scans per second.